Good news chocolate beer lovers! The summer is coming to a close, which means the season of chocolate beers is upon us! 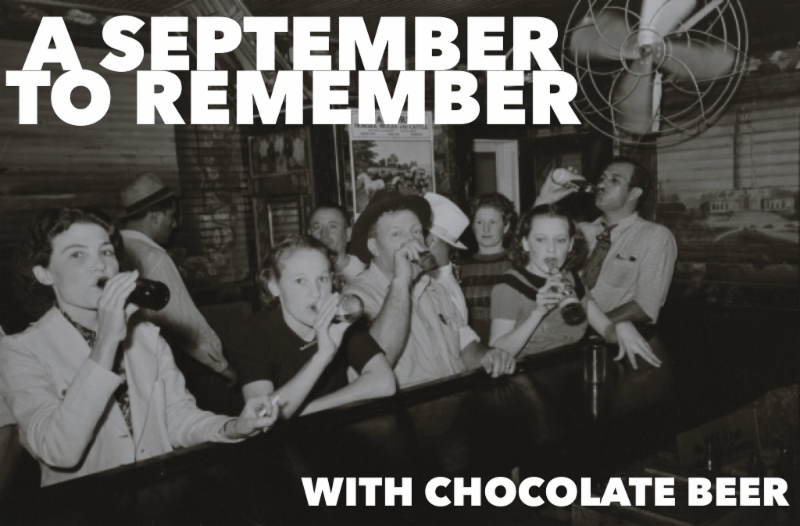 For the month of September, catch all things chocolate beer here, including brand-new draft chocolate beers made with Cholaca, our 100% pure liquid cacao, fun local beer events, updates on the latest and greatest in home brewing, and much more. Don’t forget, if you are a brewmaster or brewery interested in having your news featured in our newsletter, like our Facebook page, and email all content to marketing@cholaca.com. We can’t wait to hear your chocolate brews news! Stay in the know of all things chocolate beer, including beer news, new releases, events and more by liking our Chocolate Beer Lovers Facebook page, and following us on Instagram and Twitter. We are always eager to collaborate with new breweries and brewmasters. 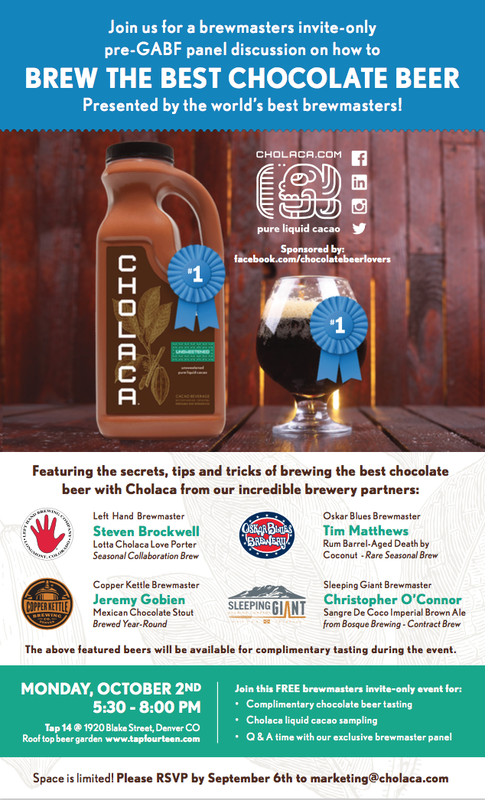 Please e-mail us at marketing@cholaca.com if you’re interested in sharing your chocolate beer news. Have you RSVP’d for this event yet? Email marketing@cholaca.com if you’d like to attend. For those of you who can’t make it – we will be streaming the panel discussion live on our Chocolate Beer Lovers Facebook Page from 5:30 – 8 PM. Be sure to like the page so you don’t miss out! Chocolate is so versatile in beer. It can be as nuanced or pronounced as you want and still have a noticeable impact. 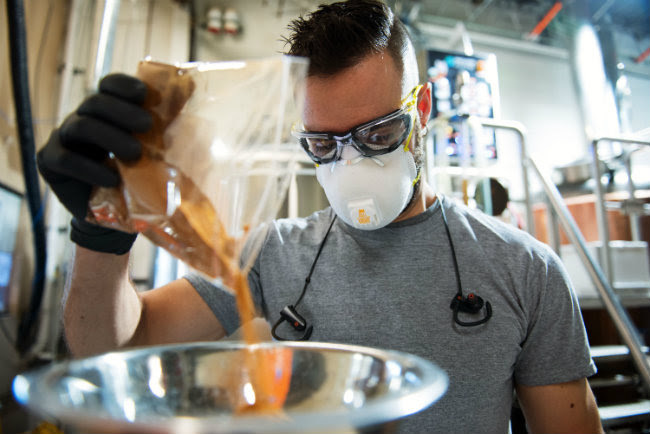 Looking to the culinary world is an inspiration for developing beers with chocolate flavors—whether they’re complementary or offering up some delicious dissonance. Working with Cholaca makes it really easy to hit these targets; it’s readily soluble in beer and practically begging you to make lab scales to see exactly where that perfect balance is. 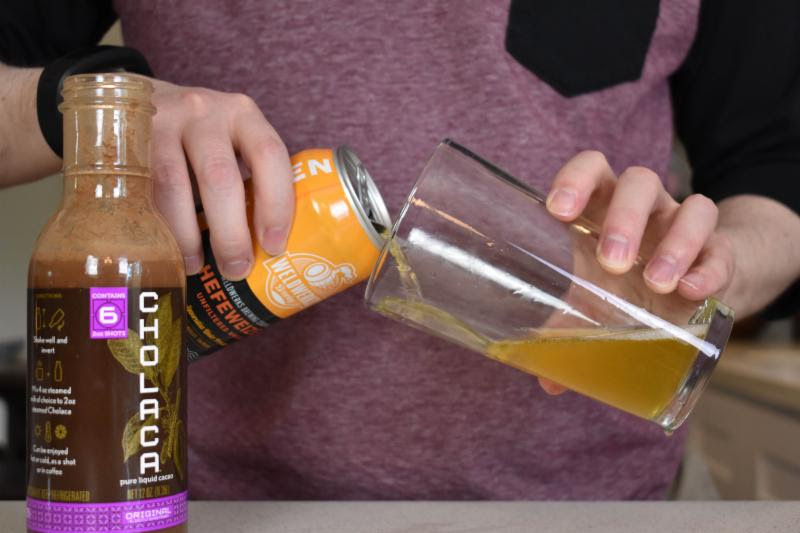 The addition of a product like Cholaca can really amplify the chocolate flavor in your beer. During our collaboration with Bosque we decided that we really wanted to bring out that chocolate flavor, and the “Sweet Cholaca” addition at the end of the boil really helped us achieve that goal. The beer making process with Cholaca is incredibly easy because you’re able to let the fermentation go through and then you’re able to infuse the Cholaca because of its liquid state, with the finished beer. That way you’re able to layer chocolate flavors with the beer flavors. 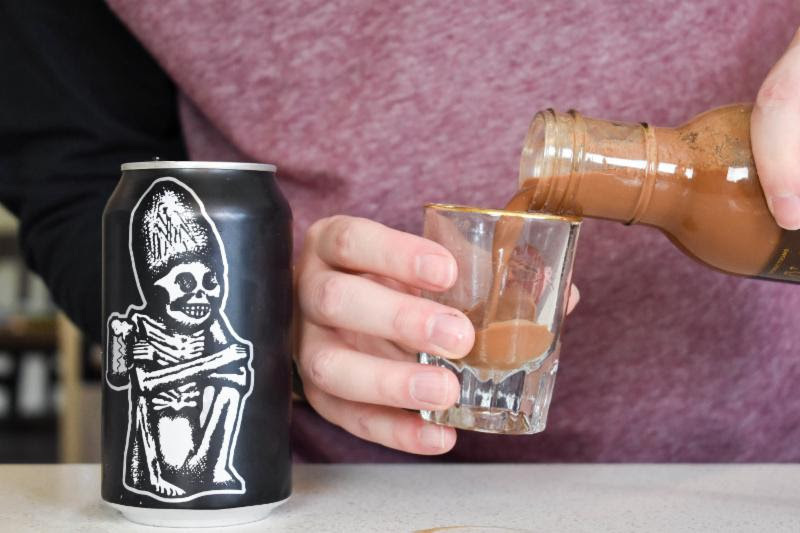 We use Cholaca in our “Death by Coconut” chocolate beer. DBC won an award at the DIY American Beer Festival, and that was when we really started to get behind it. In terms of adding the Cholaca, we try to mix the beer and Cholaca in an exterior vessel. We use a 1 bbl fermenter, then inject the slurry rapidly into the racking arm to promote as much interface between the beer and Cholaca as possible. Check out our recent feature in the Beer Necessities. 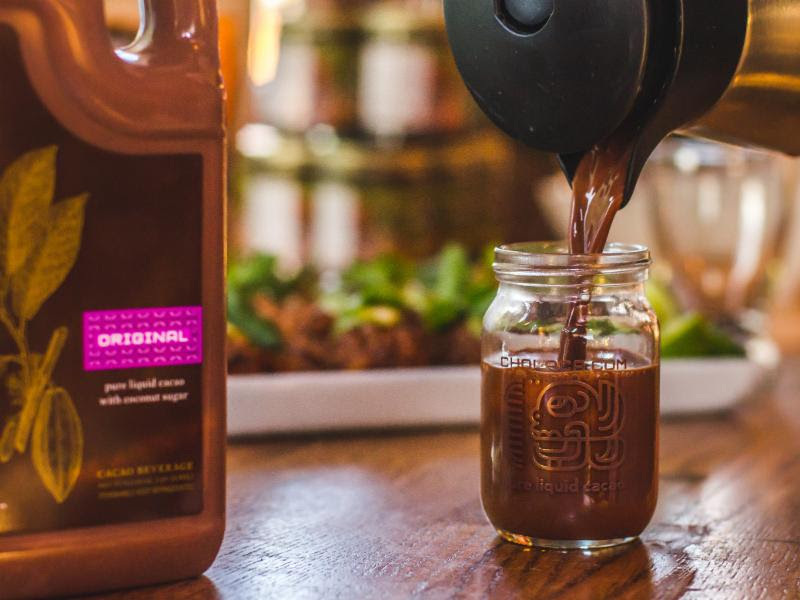 The Beer Necessities tested out Cholaca, our 100 percent pure liquid cacao in their recent brew process and were very excited with the result. 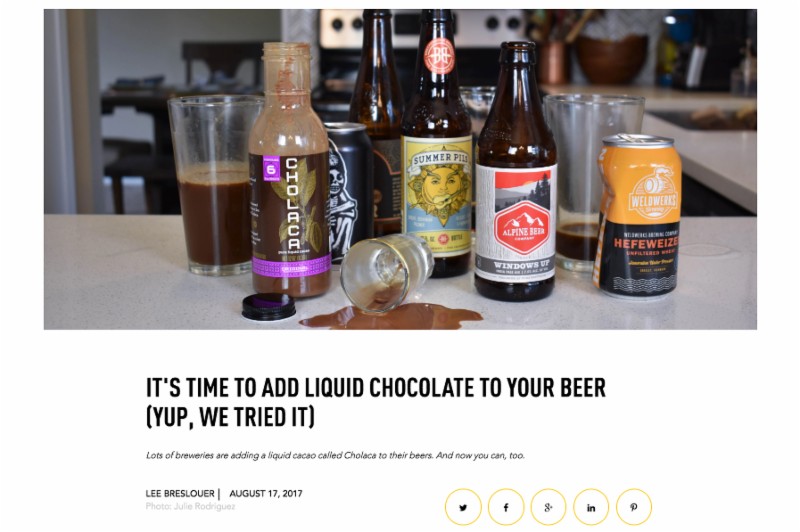 Many other major breweries and home brewers across the nation are raving about our 100 percent pure liquid cacao as it is an incredibly easy alternative method of incorporating chocolate into beers through the brewing process as adds the truest form of chocolate directly into the beer, rather than trying to extract chocolate flavor from cacao nibs or powders. 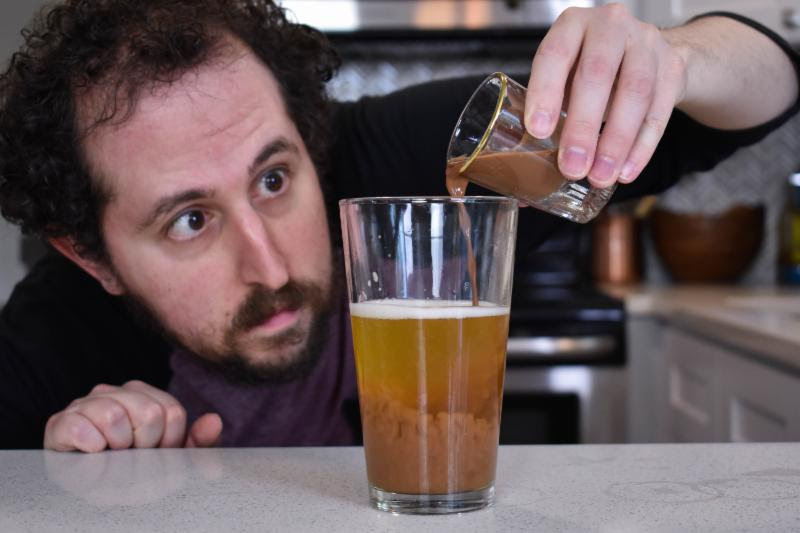 If you’re a brew master looking to brew a chocolate beer and would like to order a FREE sample of Cholaca please click here. 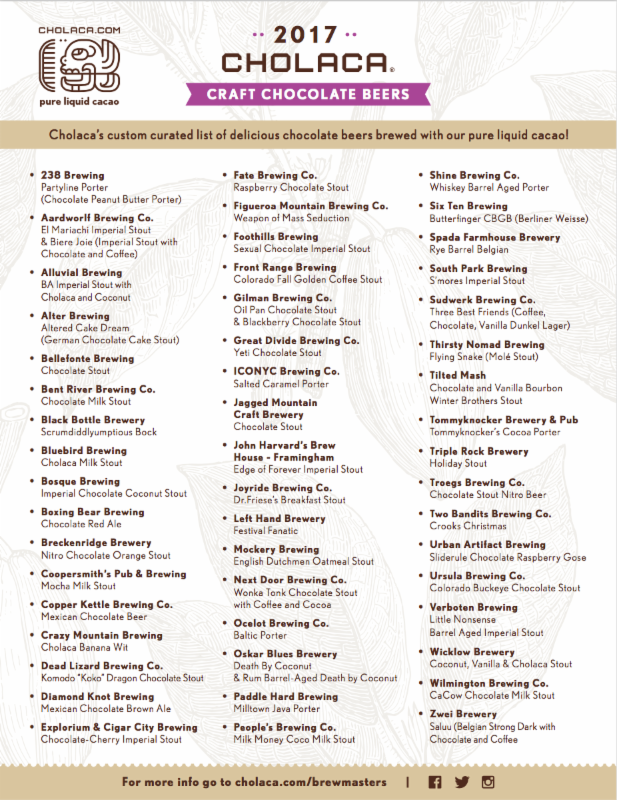 For a list of all the breweries using Cholaca in their chocolate beer see the list below or visit the link here. Earn those brews with a total body workout right in the brewery! 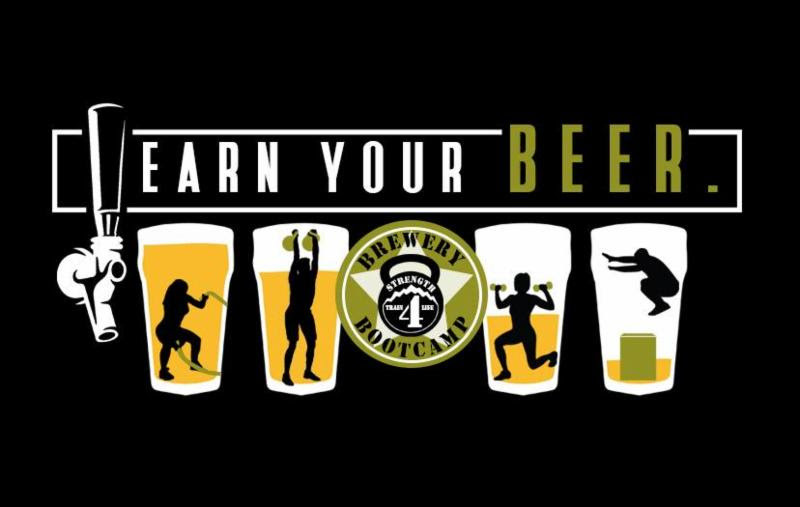 Join Copper Kettle Brewing and Brewery Boot Camp for an hour long workout session followed by some brews. Tickets cost $10, and include discounted drinks following the hour long workout session. Queue the chocolate beer! 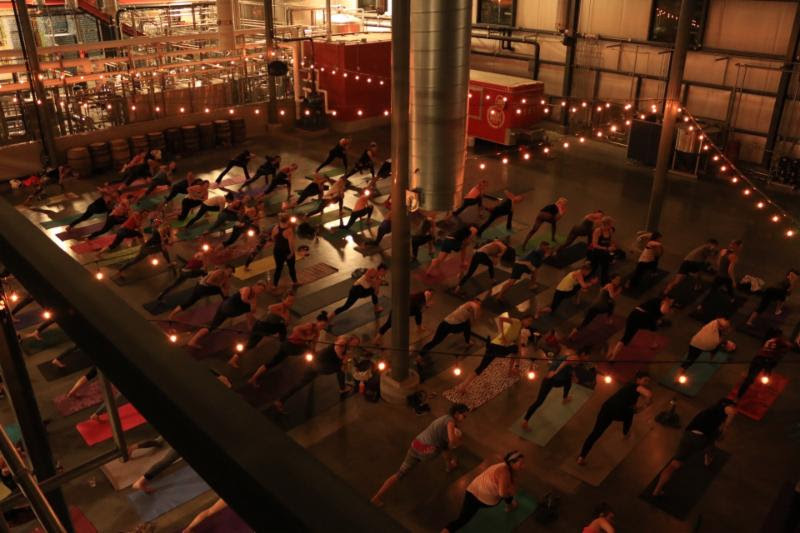 Celebrate the unity of two of Denver’s super-star communities in RiNo, all while honoring two of our favorite things, beer and yoga! Join our sponsors CorePower Yoga and Great Divide Brewing Co. for Hoppy Yogis. Bring your friend and an open mind, and join us on the mat for a free yoga class led by Kim of CPY Rino. Complete with live tunes to go with your flow, guests are invited to come for the yoga, the beer, or both! Class is free, and guests are encouraged to arrive early to reserve a spot. Doors open at 5:30pm. *Please bring your own mat. 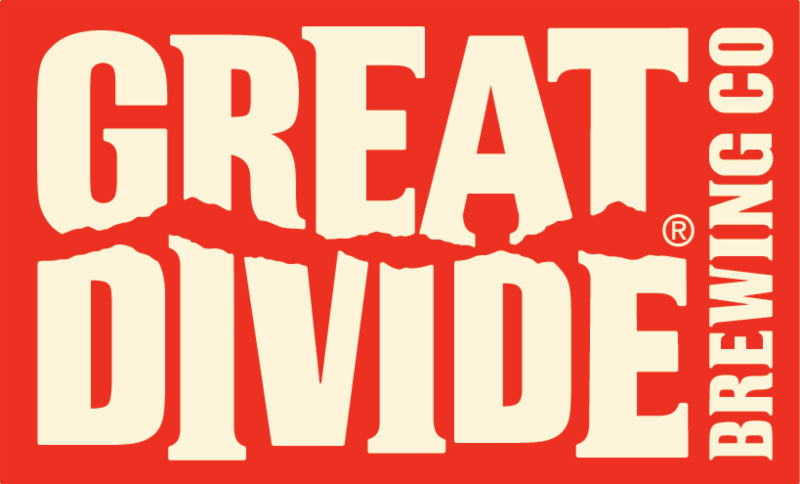 After class, head over to the Great Divide Brewing Co. barrel bar to enjoy some craft brews, or stick around in the yoga space after class for beer and tunes being spinned by DJ Sandwich! PLEASE NOTE: This class takes place at the NEW Great Divide location on Brighton BLVD., NOT at the original brewery at 22nd and Arapahoe. The locations are only a mile apart, so please consult the event address if you’re unsure where to go! 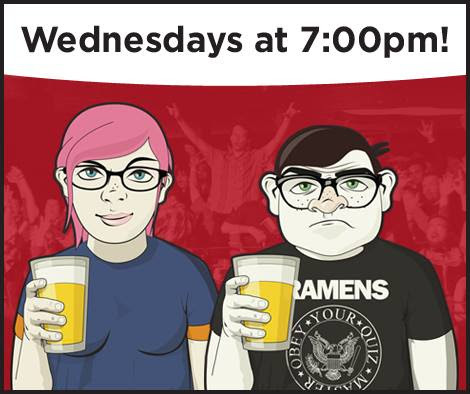 Geeks Who Drink is a weekly Pub Quiz modeled after those in Ireland and the UK. Teams of up to 6 players compete for street cred and other valuable prizes. 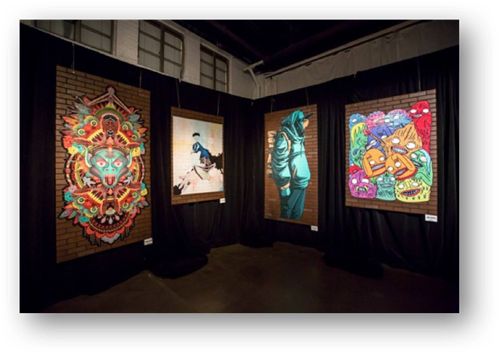 For six years Ink Monstr’s Sticky Situation Sticker Art Show has introduced audiences in Colorado, New York, and Florida to Denver and national artists. Breckenridge Brewery is taking a local version of this unique exhibit on the road with them. 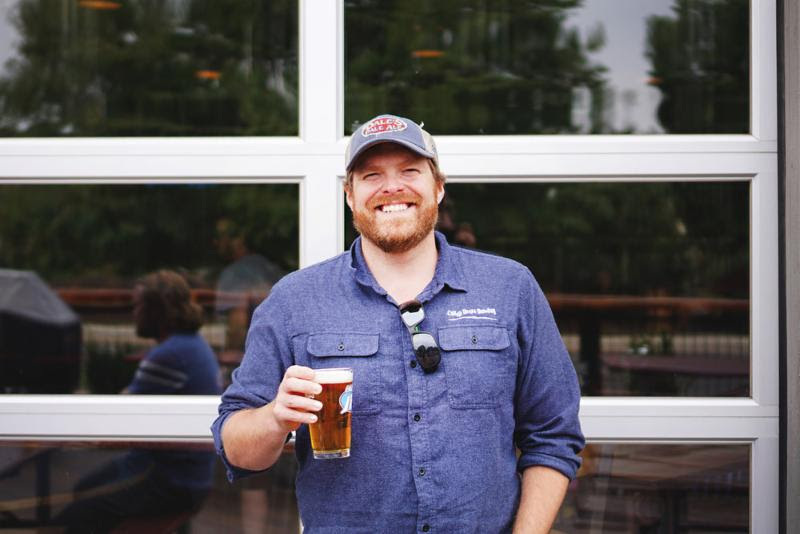 They’ll feature eight Colorado artists who’ve taken inspiration from Breckenridge Brewery and the lifestyle they have cherished for 27 years. 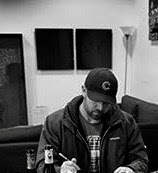 Their artwork, printed and applied to faux brick panels, will be on display for enjoyment as you savor a deliberate selection of Fine Colorado Ales. 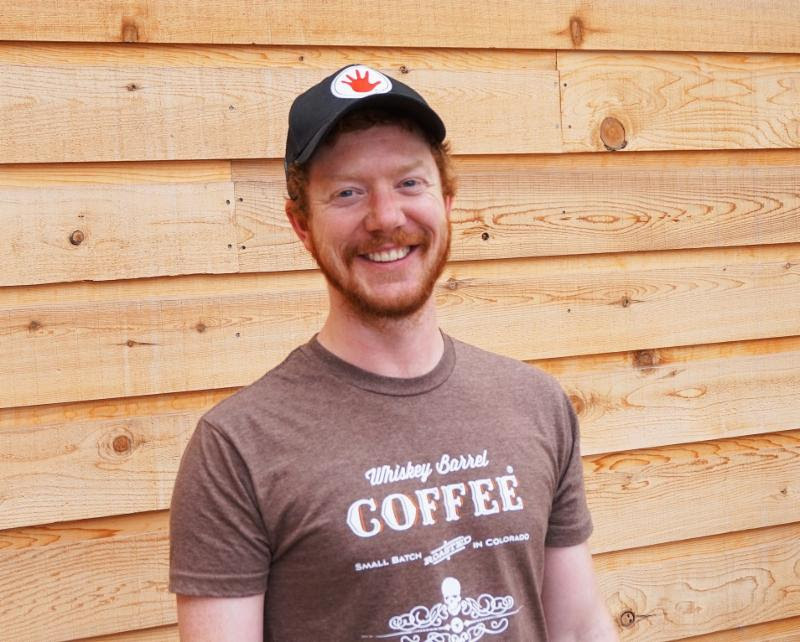 Breckenridge Brewery will be partnering with a local chef to prepare a memorable multi-course beer dinner in the city. 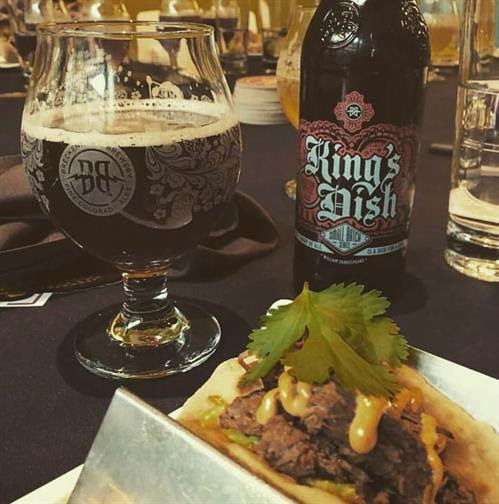 Hosted by their very own culture czar, Todd Thibault, and their featured chef, they will present a curated evening of intriguing dishes creatively paired with special beers from their portfolio of well-known and rare beers. We’re so excited to now be supplier members of the brewers association!! 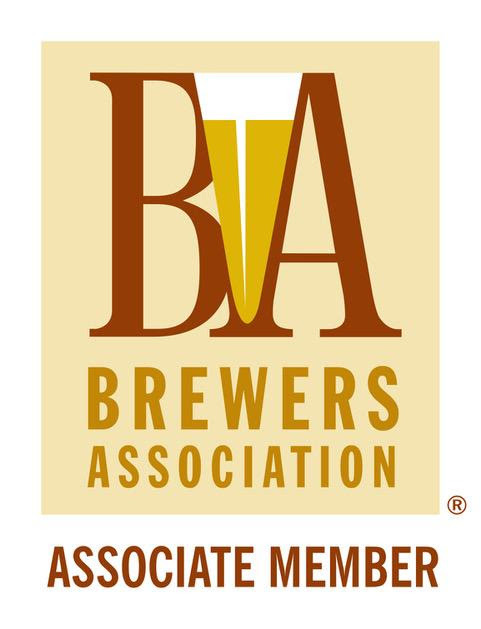 The Brewers Association is an organization of brewers, for brewers and by brewers. 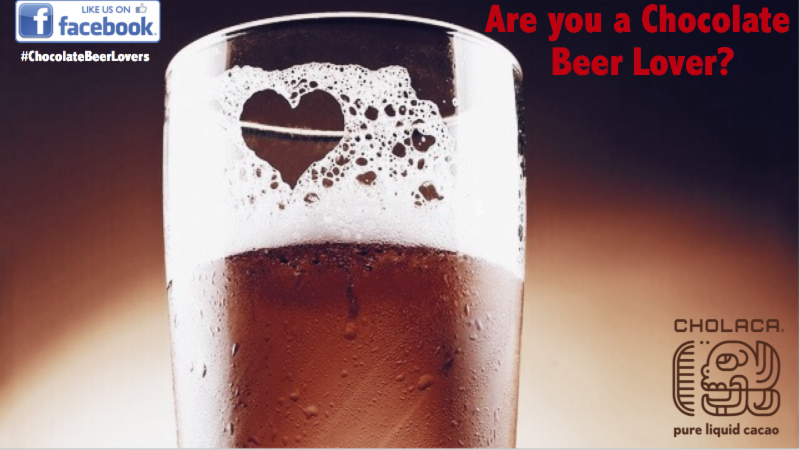 More than 4,000 US brewery members and 46,000 members of the American Homebrewers Association are joined by members of the allied trade, beer distributors, individuals, other associate members and the Brewers Association staff to make up the Brewers Association. 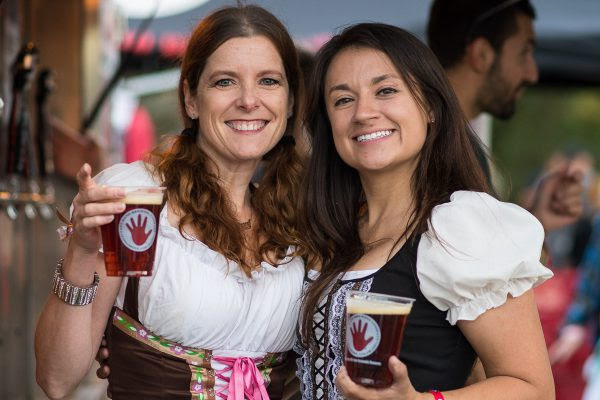 Left Hand Brewing presents their return to the Longmont Oktoberfest, a 2-day music festival unlike anything in Northern Colorado. 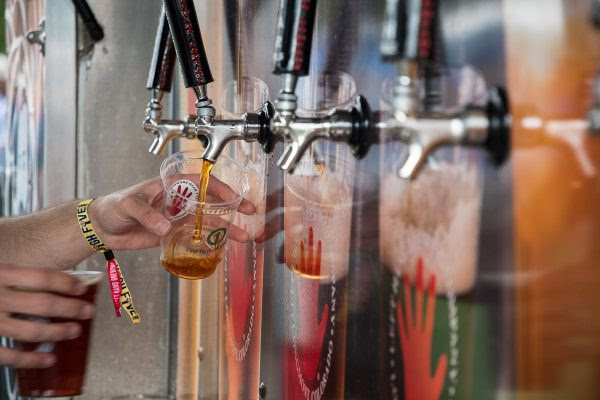 Live music, ten breweries, two cideries, local food and more, take over Longmont for two days of celebration. This year’s headliner band will be the witty and energetic ska punk band, Reel Big Fish, playing Friday night. Other bands rocking out include: Andy Frasco & The UN, Pandas & People, Face, and more. Brat eating and stein holding contests, best dressed awards and the world’s longest bratwurst festivities, make this an annual tradition you don’t want to miss. Ponies, a petting zoo, rock climbing wall, water activities, along with a full kid zone, Longmont Oktoberfest has activities for the whole family. Pull out your lederhosen and dirndls, grab a pretzel or brat, and join in the fall fun while we support local charities. Prost!